I decided I wouldn’t post these in any particular order, except, I guess, in the order in which they strike my fancy. 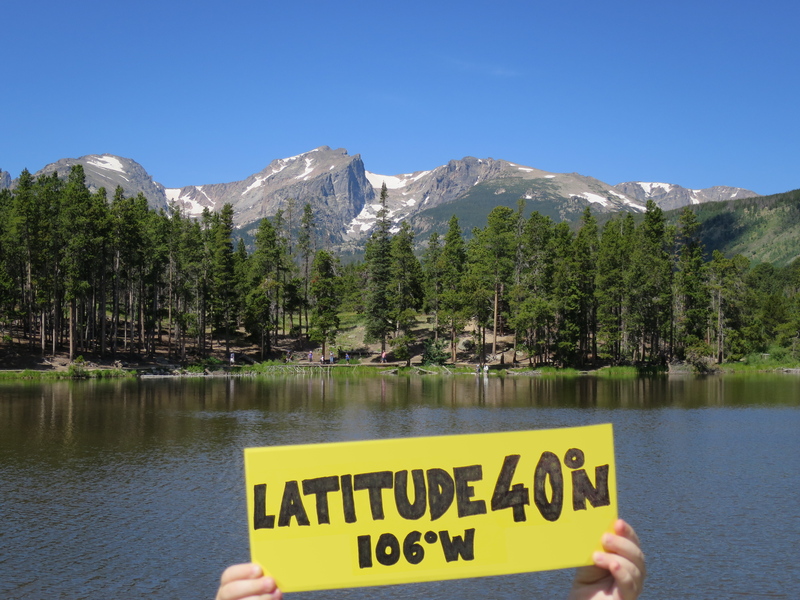 So here is a Latitude Photo taken after our kids were born… note smaller hands are holding the sign. This one was taken in Colorado in 2014, at Sprague Lake in Rocky Mountain National Park. We had a nice hike around the lake and took the picture part way around.